I'm having a hard time doing a last-minute essay on the book...due in about 8 hours (plus i still need to sleep), but i can't seem to find the exact setting which the story takes place. I think it's in the early 1800s-mid 1800s, somewhere in Europe (England, for the most part). Any verification on that please? Yes, the story takes place mostly in England, although David travels at the end. David was born in Blunderstone. He then is sent to school in London. He runs away to his aunt in Dover. After that he goes to live with the Wickfields at Dr. Strong's school in Canturberry. The running side-plot with the Pegottys takes place in Yarmouth. Steerforth lives in Highgate. David goes to Swtitzerland after Dora dies. Hi i'm lso having trouble on a last minute report, can you give me two examples of atmoshpere from the story. Anybody? I hope my comment on "David Copperfield " will be helpful for you . One of my most moving sence ( atomoshpere (?) ) is from the last part of Chapter 11 . On reading these lines , I felt sorry for his pitiful , hard life as a orphan to know his spending free time wandering atound London Bridge . It is greatly visual scene , I think . From this selection , how vividly Dickens could depict it , how he himself had unhappy experience that snstilled him with a sense of having been abandoned by Dickens'family . If he had not have such a miserable life at his youth , he might not have written the scene sympathised by readers . 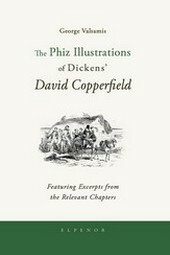 Anyway , a knowledge of the details of the life of Charles D. adds considerably to one's interest in reading "David Copperfield " because this novel is largely autobiographical . I hope you send me good news on your school paper sometime soon ! I'm sure your last minute report finished already . How was it ? my last mail on the atomosphere on " David Copperfield " was helpful for you , I'm not sure . I hope we can talk more about the book through this site . Well the story takes place in, of course, England. Time period is a bit more ambiguous. In film versions the story usually begins around 1812-ish, Dickens' own birth year, though I've seen it begin as late as the 1830s (you can date the film by the year shown on either Clara or Copperfield Sr.'s tombstone). The book was published in 1840, however, it implies that this is after David's death as the title said he "never meant it to be published on any account", which makes me think he didn't have a say in it's supposed 1840 publication.